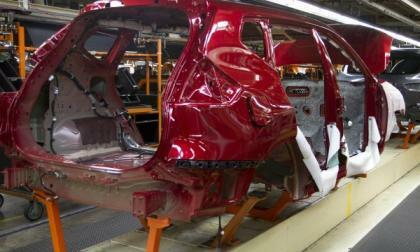 Nissan has announced the opening of a new production facility that will become the production hub for the NP300 Navara exports. 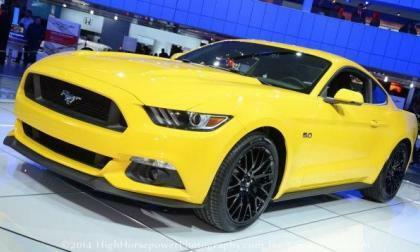 While Ford Motor Company has only promised that the 2015 Ford Mustang EcoBoost would offer at least 305 horsepower and at least 300lkb-ft of torque, a new report quoting an unnamed inside suggests that the turbocharged S550 Mustang will offer 350 horsepower – which would make it a far more formidable foe in the horsepower war than we first had expected. 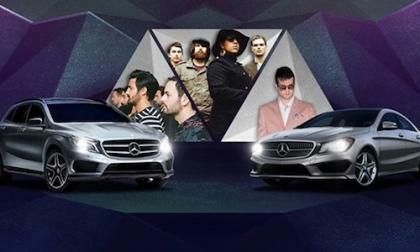 Test drive the new 2014 Mercedes-Benz CLA-Class or 2015 GLA-Class and get tickets to the Evolution Tour. Who are the three popular bands? Why doesn’t Subaru sell more BRZ two-door sport coupes? 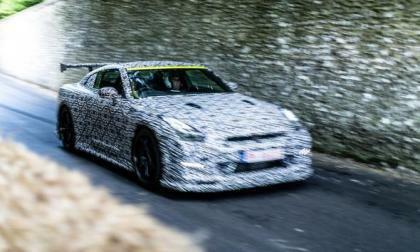 The 2015 Subaru BRZ is set to make its dealer launch this month and the outgoing model’s numbers are up. But why doesn’t Subaru sell more? 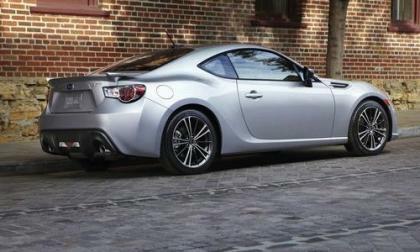 Read more about Why doesn’t Subaru sell more BRZ two-door sport coupes? 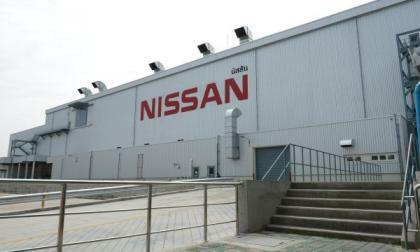 Nissan sees continued sales growth year-on-year with June 2014 rising over June 2013 for the brand while Infiniti is more hit-and-miss with their growth. 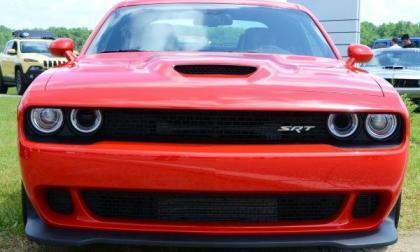 Now that we know how much power the new Hellcat Hemi will make in the 2015 Dodge Challenger, it is very clear that a Hellcat powered Jeep Grand Cherokee will annihilate any performance SUV that the European supercar makers can come up – leaving the owners of the far more expensive German and Italian sport utes crying in their overpriced beer. 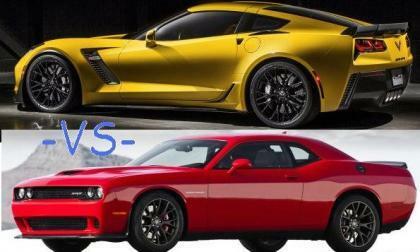 A while back I did a piece discussing the fact that the 2015 Dodge Challenger SRT Hellcat wouldn’t beat the 2015 Chevrolet Corvette Z06 and now that the Chrysler Group has announced the shocking power figures for the supercharged Hellcat Hemi – it only seems proper to revisit the battle between the two American monsters. 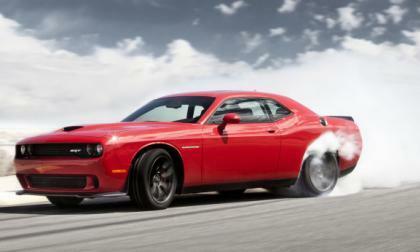 We found out yesterday that the 2015 Dodge Challenger SRT Hellcat would pack 707 horsepower and 650lb-ft of torque from the new 6.2L supercharged Hemi and today, we have a couple videos showing that new monster muscle car motor – giving us a great chance to see and hear the 707hp Challenger in action. 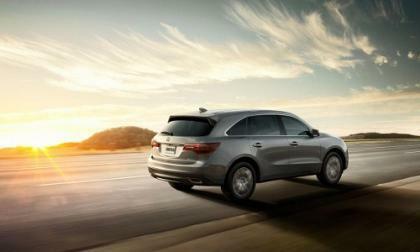 If paper plates are an economic indicator, the Acura MDX is the bellwether Blue Chip stock of Acura’s lineup. 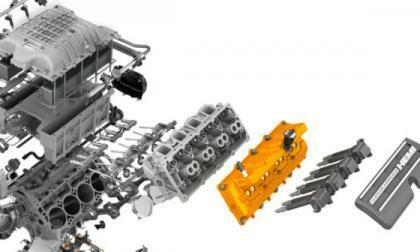 Torque News takes a closer look at the driving force behind the Acura renaissance. 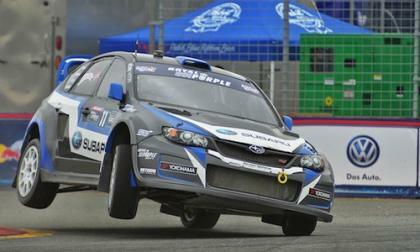 Subaru has just released a new mobile app featuring 360 degree video technology for WRX STI Global Rallycross and Rally America fans. 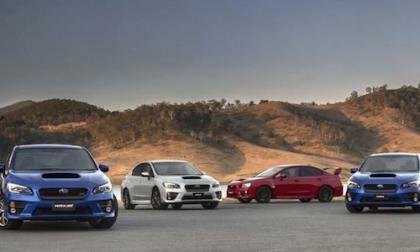 The 2015 Subaru WRX and WRX STI sales are hot as the new performance sedans have been launched here in the U.S.
North America is buying the slightly redesigned 2014 Civic in record numbers. 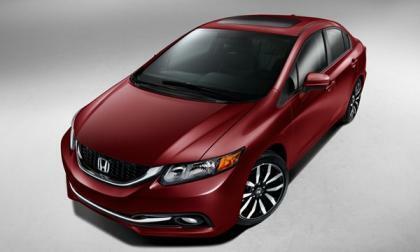 Torque News takes a look at the hows and whys of North America’s best selling compact. 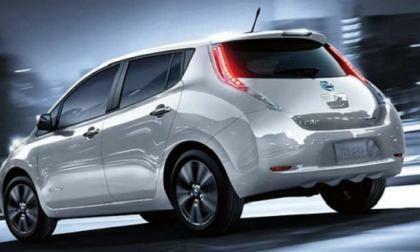 Nissan’s all-electric pioneer has been on a tear of late. Coming off a record-setting May, the LEAF didn’t disappoint in June. 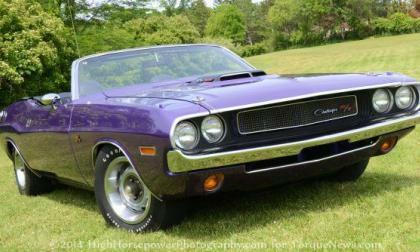 Brothers John and Horace Dodge founded Dodge Brothers Inc on July 1st 1914 so with the rising of the sun this morning, the Dodge brand of the Chrysler Group has officially turned 100 years old – and they celebrated this monumental event by introducing the most powerful American car of all time with the 2015 Dodge Challenger SRT Hellcat. 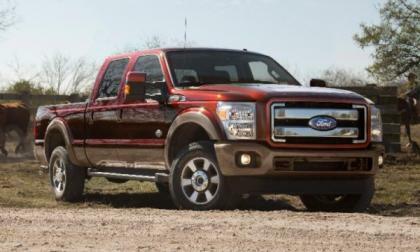 Ford Motor Company has issued a recall for a select group of 2014 F150 pickups over a concern that there could be a manufacturing problem with the Electronic Power Assist Steering system – a problem that is severe enough that the company has instructed owners to avoid driving their trucks until the problem is fixed. 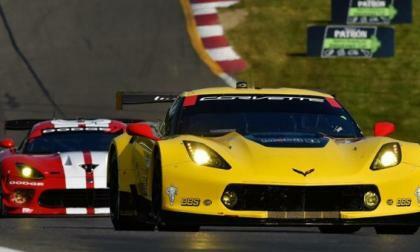 The new Chevrolet Corvette Z06-based C7.R race car was introduced for the 2014 Tudor United SportsCar Championship and while the teams got off to a rough start in the first two events of the season – the #3 Corvette C7.R has claimed the GT LeMans class win in each of the past three races. 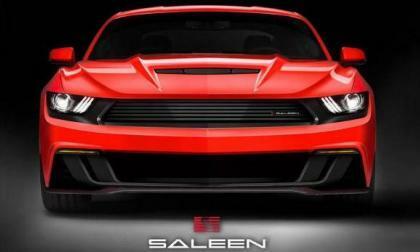 The Chrysler Group has just announced the official specs for the 2015 Dodge Challenger SRT Hellcat and with a shocking, stunning and absolutely amazing 707 horsepower and 650lb-ft of torque, the supercharged Challenger is the most powerful American production car ever – packing significantly more power than anything ever offered for street use by General Motors or Ford Motor Company. 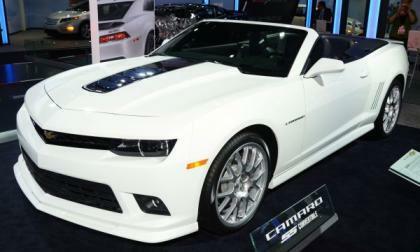 For the third straight month, the Chevrolet Camaro beat the Ford Mustang and the Dodge Challenger in monthly sales, with the small advantage in June 2014 allowing the Camaro to build its annual lead as GM strives for a stunning 5th straight yearly muscle car sales title. The Goodwood Festival of Speed is many things, but for this NISMO driver, it was a chance for the rookie to take on the Hillclimb record and totally pwn it. 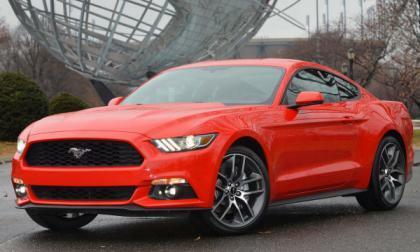 While Ford Motor Company is expecting the 2015 Ford Mustang EcoBoost to be fairly popular both in the United States and overseas, some are brushing off this new turbocharged engine as little more than a short-run redeux of the old SVO Mustang – but there is a good chance that this engine could play a very big role in the future of the model. 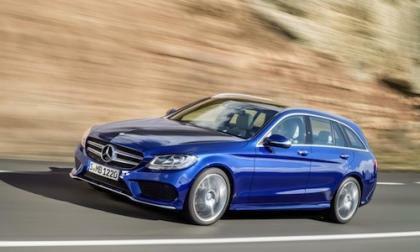 The all-new 2015 Mercedes-Benz C-Class Estate is announced by Mercedes. How does it accomplish more with less? 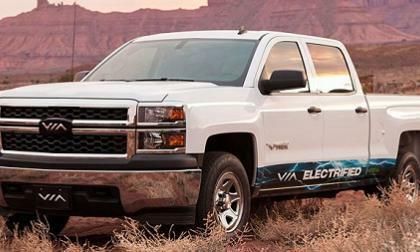 Is there a future for electric pickup trucks? The electrification movement has largely ignored the segment that arguably needs it the most: pickup trucks. With one notable exception, we still won’t be seeing electric pickups on the road for some time. 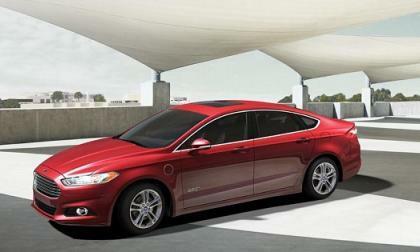 Read more about Is there a future for electric pickup trucks? 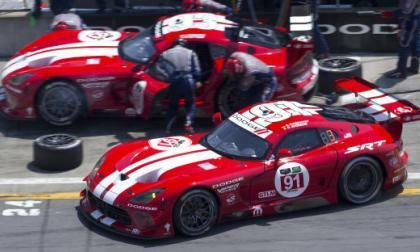 The TUDOR United SportsCar Championship took to the track of Watkin’s Glen this past weekend for the 7th race of the 2014 season and in its first race as the Dodge Viper GTS-R – the modern Viper race teams claimed two of the three podium spots trailing only one of the cross town rivals from Corvette Racing. 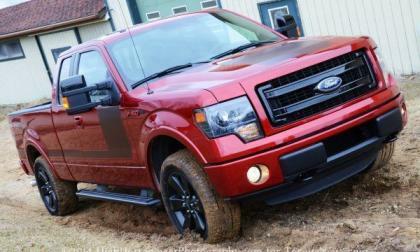 While we know for sure that the 2015 Ford F150 will feature a variety of weight saving aluminum body components including the rear cargo box, there has been some speculation as to whether the heavier duty F250 and F350 will feature similar aluminum panels – but I don’t think that there is any reason why the next gen Super Duty pickups wouldn’t have the same construction as the upcoming F150. 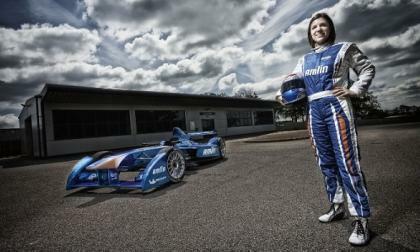 The Formula E electric racing series coming this September will feature at least one female driver: 33-year old Katherine Legge of England. 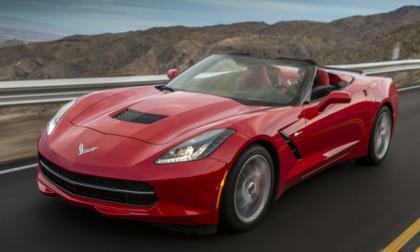 The seemingly endless stream of General Motors recalls has brought about a notice for the 2014 Chevrolet Corvette Stingray over a concern that the rear shock absorbers could crack and fail altogether – or simply reduce the life of the suspension components – so the company is getting these sports cars back to the dealerships for repairs. 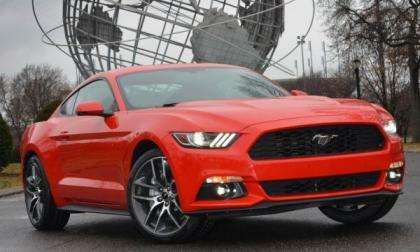 The 2015 Ford Mustang will be equipped with the next generation Sync system which includes the new 911 Assist system that will help first responders know a great deal of information about the collision before they get there – but it will also essentially alert the police if you were driving at an excessively high rate of speed at the time of the accident. 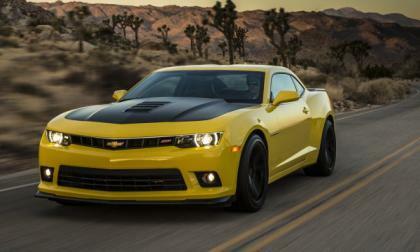 Back in late 2013, we talked about a quote from Chevrolet Camaro Chief Engineer Al Oppenheiser that there would not be a 4-cylinder option in the 2016 Camaro, but new rumors from around the automotive media suggest that the company might actually offer a turbocharger 4-cylinder similar to the 2.3L EcoBoost that will power the 2015 Ford Mustang.